William Light Education is a health education provider focused on the nursing and allied health professions. Our initial priority has been wound care management. An ageing population and the prevalence of diseases such as diabetes are increasing the need for chronic wound care. 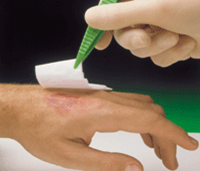 The cost of chronic wound care is now over 2% of total health expenditure. Wounds Australia, following a national forum in Brisbane in August 2017 and a subsequent national stakeholder survey (Solutions to the chronic wounds problem in Australia: a call to action.’ In Journal of Wounds Australia Vol 26 No 2 June 2018) has developed a 5 Point Plan to Reduce the Burden of Chronic Wounds. The 5 Point Plan was launched in July 2018 during Wound Awareness Week. Resources to map pathways for chronic wound care. An active campaign is underway to influence government policy in this area. Wounds Australia is also in the process of establishing an accreditation framework and entity for wound care practitioners and wound care education courses. It may take some time for Government to respond to Wound Australia’s agenda. However, the fact that the demand for chronic wound care treatment is growing and current practice is inefficient are powerful drivers for change.